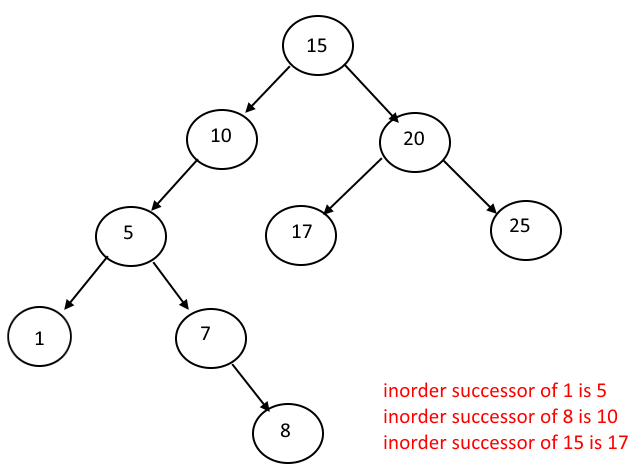 Objective: Given a Binary Search tree, find the inorder successor of a node. Output: Inorder successor of node x. Say the node for which inorder successor needs to be find is x. Case 1 : If the x has a right child then its inorder successor will the left most element in the right sub tree of x. 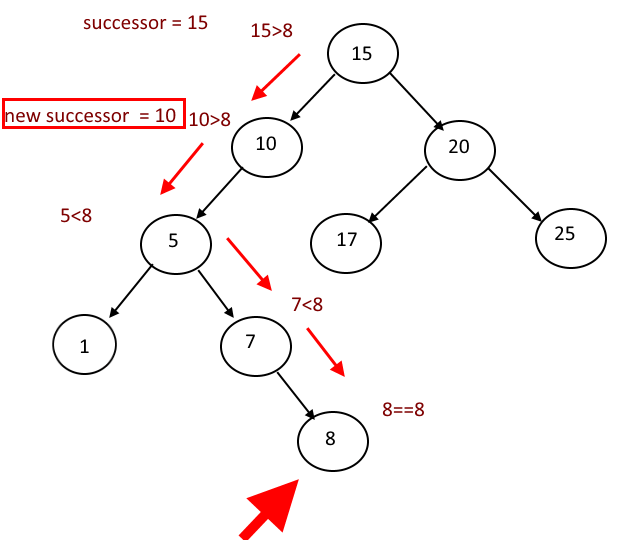 Case 2: If the x doesn’t have a right child then its inorder successor will the one of its ancestors, use the binary search technique to find the node x, start from the root, if root is bigger than the x then go left, if root is less than x, go right. while traveling whenever you go left , store the node and call it successor. 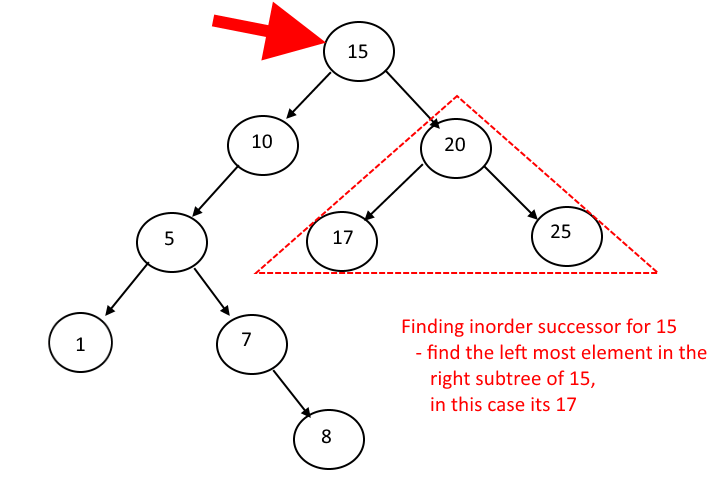 Case 3: if x is the right most node in the tree then its inorder successor will be NULL. 240 queries in 0.137 seconds.